Originally published in Creation 24, no 1 (December 2001): 46-48. The alleged sequence of evolution of various plants contradicted their actual order of burial in the fossil record! One of the fundamental problems facing life scientists is the extraordinary variety and complexity of life on Earth—there is just too much to comprehend. 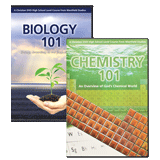 Most biologists solve this problem by specializing, spending a whole career studying just one or a few areas. Occasionally someone will attempt a grand synthesis or overview to try to encompass the whole. Such a one is Professor Lynn Margulis, of the University of Massachusetts, senior author of the book Five Kingdoms, now in its third edition.1 Margulis has spent most of her illustrious 40-year career researching the supposed evolution of the “higher” forms of life from the “lower” forms. Until relatively recently, all living things were classified into just two great kingdoms—the Animal Kingdom and the Plant Kingdom. But in the last decade or so, as a result of studying gene sequences, a revolution has taken place in our understanding of the diversity of life. As a botanist, I was particularly interested in Margulis’s view of plant classification. In her book, algae, fungi and bacteria have all been removed from the “old” Plant Kingdom, with the “new” Plant Kingdom consisting of just 12 phyla (a “phylum” is a large grouping with certain features in common) of multicellular, green, mostly land-dwelling plants. So, as I read Margulis” revised descriptions, I was asking myself, “Does this revision improve the case for the evolutionary origin of plants?” Well, the answer is “Not at all”. In fact it strengthens the case for special creation! The plants are now divided into just two main groups, the Bryata (non-vascular plants—those which do not have specialized “plumbing” for water transport) and the Tracheata (vascular plants—those which do have specialized “plumbing” for water transport). My first observation was that the Bryata are the simplest and, if evolution were true, they should be the ancestors of the Tracheata. Thus, according to evolutionary/long-age interpretations,3 they should be found “first” in the fossil record, i.e. buried below the Tracheata. But no, the opposite is true; the Tracheata appear first! The Bryata consist of three groups, the mosses, liverworts and hornworts. There is nothing that could logically be their ancestor among the multicellular algae or fungi. Their nearest supposed relatives are among the Chlorophyta, which are free-swimming, green, single-celled microbes (see inset, Figure 1). Figure 1. The twelve phyla in the “new” Plant Kingdom. It now excludes the Chlorophytes (red box), the nearest living “ancestor” candidates. So here, supposedly at the base of the evolutionary tree, there is no evidence whatever of evolution. 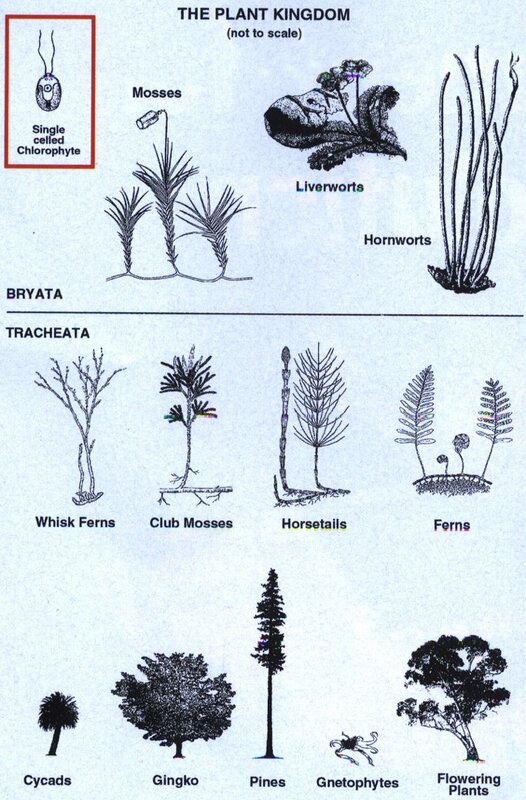 This is not merely a “missing link”, but a yawning chasm (between plants and the chlorophytes), and none of the simplest plants (Bryata) are ancestral either to one another or to any of the “higher” plants (Tracheata)! Climbing further up the supposed evolutionary tree, Margulis next deals with the Psilophyta, or whisk ferns. Once again, “no intermediate fossils have been found … . Chloroplast DNA comparisons suggest that psilophytes” closest relatives are non-lycophyte vascular plants such as ferns … [but the] chemical evidence … fails to support a strong evolutionary relation between the psilophytes and the ferns … . Ancestral groups for psilophytes … are unknown at present”.8 So, more evidence that the Tracheata did not evolve from the Bryata! Supposedly next to appear (in the alleged “Carboniferous coal forests’) were the tree-like 40 m (130 ft) lycopods. But lycopods “are related neither to pines and cedar … nor to mosses”.9 Although they have an excellent fossil record, it gives absolutely no clue as to where they came from. And what about the ferns? “Fossilized ferns abound in the fossil record from the Carboniferous through the present”, with some tree-ferns up to 25 m (82 ft) tall.11 But again, not a single clue here to their origin. Climbing the evolutionary ladder further, we come to the gymnosperms, or naked seed plants. 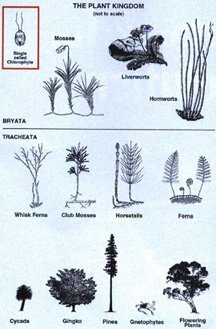 They include four living phyla: the cycads, gingko, conifers (pines) and gnetophytes. The cycads are well known as garden plants and the group includes the sago palm. Cycads were once considered to be the closest living relatives of flowering plants, related through their common ancestor, the extinct seed ferns. “However, seed ferns and living cycads are no longer believed to be direct ancestors of flowering plants”.12 And there is no hint as to their supposed evolutionary origin! Finally, supposedly at the top of the plant evolutionary tree, we come to the flowering plants, the Anthophyta (or angiosperms), with their unique flowers and fruits. They are “the superstars of diversity and abundance”, with possibly as many as a million species, occurring all over the globe. They have an abundant fossil record but, once again, they appear fully formed, with no sign of any evolutionary lineage. The only suggestion from Margulis and her co-author is the gnetophytes. But since “Gnetophytes are believed not to have given rise to any other plant lineage”17 they have to imagine what an ancestor of flowering plants might have looked like. In a blind leap of (evolutionary) faith, they surmise that the incredibly intricate flower structures we see today, complete with ovary (female) and pollen (male), exist because evolution has modified leaves into “a shoot specialized for reproduction.”18 Yet there is not even a fragment of fossil evidence for this. Well, there we have it. 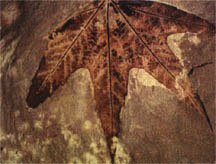 The plant fossil record is now more clearly defined than ever before, and it testifies more clearly than ever before that not one of the phyla is either the ancestor or the descendant of any other! Fossil oak Quercus castaneifolia (Hungary). 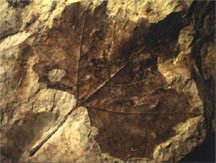 Fossil leaf of plane tree (Southern Germany). 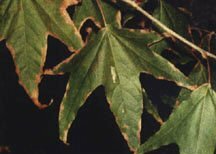 Same tree living in America and named P. wrightii. Fossil oak Quercus cerris(Southern France). Margulis L. and Schwartz K.V., Five Kingdoms: An Illustrated Guide to the Phyla of Life on Earth, 3rd ed., Freeman, New York, 1998. Williams, A., Did plants evolve? Creation 19(4):10–12, 1997. 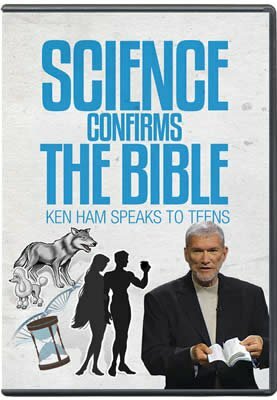 Long-age interpretations assume that the fossil record was deposited over millions of years, whereas those who accept the Bible as historically accurate recognize that the fossil sequence is a record of successive burial by the global Flood and its aftermath. While Darwin acknowledged that the lack of transitional forms in the fossil record was the most serious objection to his theory, he was confident that, in time, further fossil discoveries would provide support. In reality, over 140 years later, the “missing links” are still missing. Margulis L. and Schwartz K.V., Five Kingdoms: An Illustrated Guide to the Phyla of Life on Earth, p. 385. Margulis L. and Schwartz K.V., Five Kingdoms: An Illustrated Guide to the Phyla of Life on Earth, p. 387. Margulis L. and Schwartz K.V., Five Kingdoms: An Illustrated Guide to the Phyla of Life on Earth, p. 388. Margulis L. and Schwartz K.V., Five Kingdoms: An Illustrated Guide to the Phyla of Life on Earth, pp. 376, 393–394. Margulis L. and Schwartz K.V., Five Kingdoms: An Illustrated Guide to the Phyla of Life on Earth, 390. Margulis L. and Schwartz K.V., Five Kingdoms: An Illustrated Guide to the Phyla of Life on Earth, 376. Margulis L. and Schwartz K.V., Five Kingdoms: An Illustrated Guide to the Phyla of Life on Earth, 399. Margulis L. and Schwartz K.V., Five Kingdoms: An Illustrated Guide to the Phyla of Life on Earth, 400. Margulis L. and Schwartz K.V., Five Kingdoms: An Illustrated Guide to the Phyla of Life on Earth, 404. Margulis L. and Schwartz K.V., Five Kingdoms: An Illustrated Guide to the Phyla of Life on Earth, 407. Margulis L. and Schwartz K.V., Five Kingdoms: An Illustrated Guide to the Phyla of Life on Earth, 410. Margulis L. and Schwartz K.V., Five Kingdoms: An Illustrated Guide to the Phyla of Life on Earth, 414.